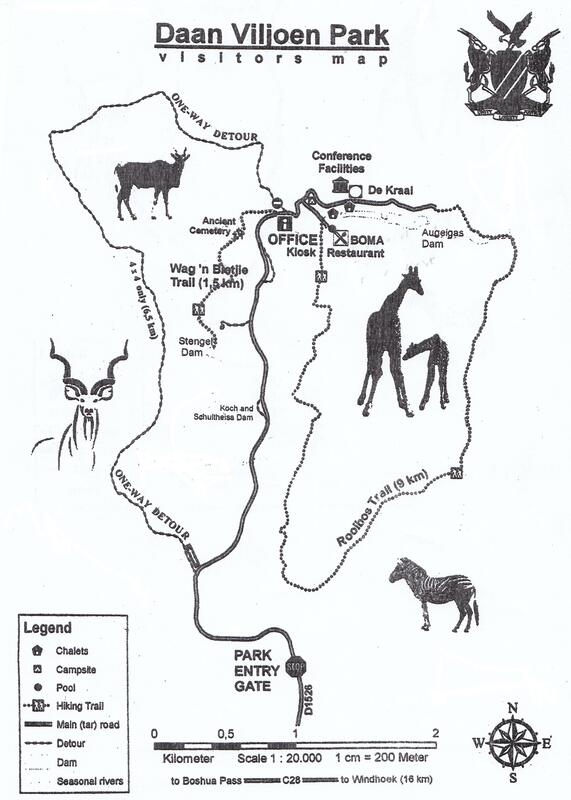 Information on one of Namibia's National parks - Daan Viljoen National Park, the nearest to Windhoek. 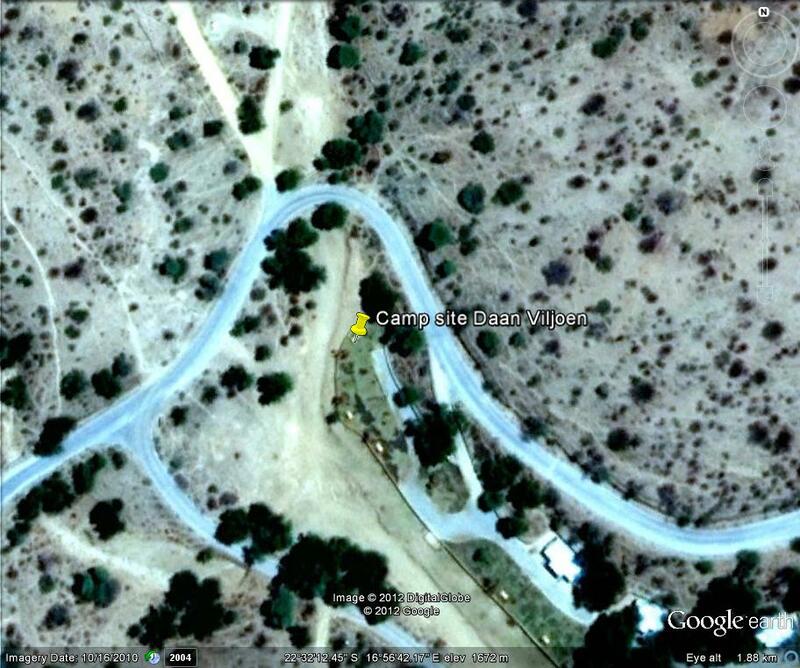 Daan Viljoen Park can be reached driving down Sam Nujoma Avenue for only 18 kilometres from Windhoek. The turn-off is clearly signposted. 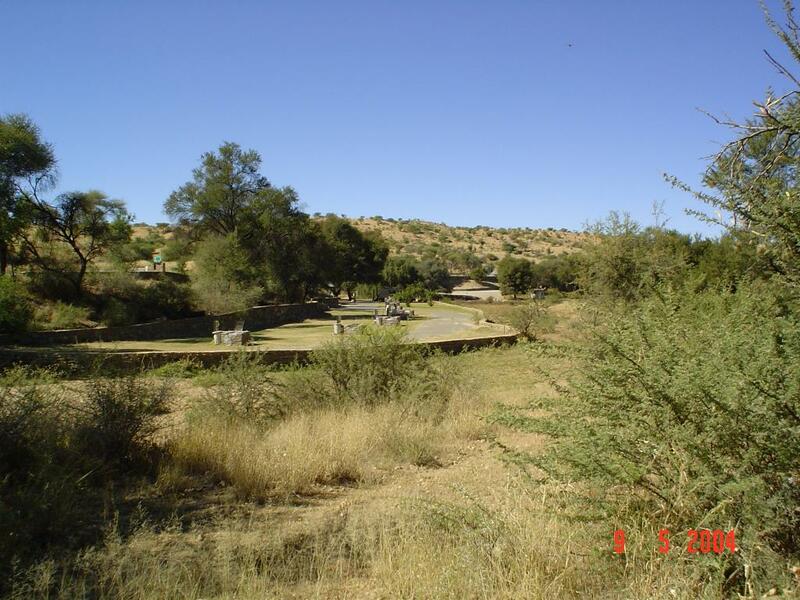 The park, located amongst hills of Khomas Hochland, is the smallest in Namibia and the nearest to Windhoek. Welcome to one of the best kept secrets of Namibia, as of recent – The Sun Karros Lifestyle Safari Lodge at Daan Viljoen. You may or may not have heard about the lodge but Daan Viljoen might ring a bell. Sun Karros Lifestyle Safarisis one of the first PPP’s that have been offered the opportunity to work with MET and NWR and a facility was created that surpasses your wildest imagination. Sun Karros Lifestyle Safaris took ownership of the Daan Viljoen Game Reserve tourism development and re-developed the utilities and service of this beautiful location, breathing new life into an attraction loved and revered by all Namibians and now for all to enjoy once more with world class facilities, great service and spectacular nature to boot. 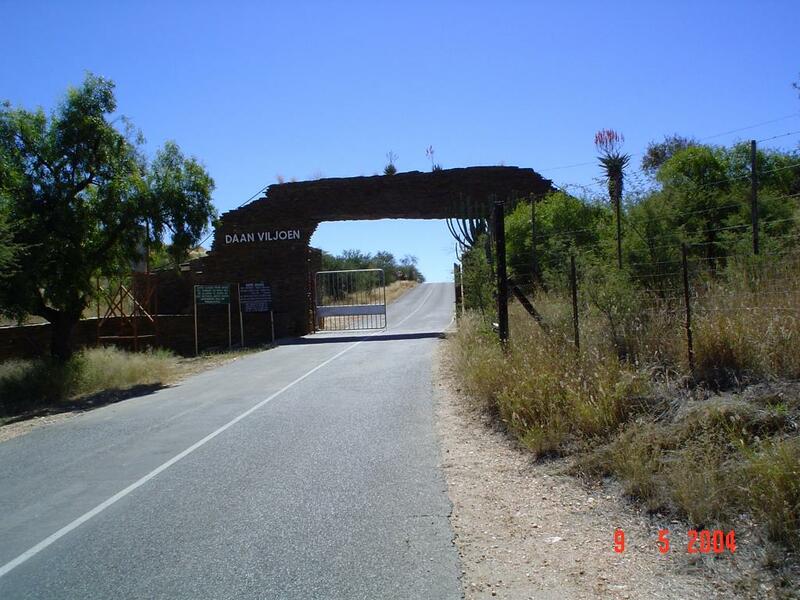 Situated amongst the rolling hills of the Khomas Hochland the Daan Viljoen Game Reserve has always been a sanctuary to a large population of game species. Sharing this amazing natural reserve and tranquil surroundings Sun Karros offers the visitor luxurious accommodation, plenty of activities, delicious cuisine, professional conference facilities and one of the most spectacular wedding venues in the Windhoek area. Comfortable chalet accommodation is offered in 19 contemporary African inspired units, two of which are family chalets that cater for medium size families up to four people. Each Chalet is specifically located away from each other and constructed in such a manner to afford both privacy and allow for an unadulterated nature experience. Each chalet offers air-conditioning, satellite TV, private veranda, bar fridge and private barbecue fire pit. 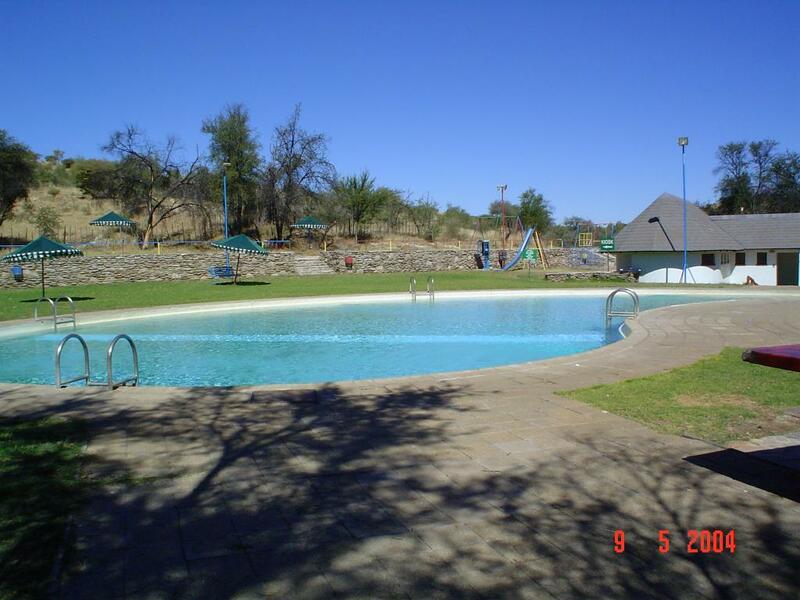 Twelve camping sites are located on a grass terrace serviced by two ablution blocks with eight showers each and washbasins and one ablution block with four toilets each and hand basins. Maximum 8 people per camp site is allowed. Luxury meru style tents can be set up on request for the more adventurer at heart. Fitted with beds and bedside table and reading lamp. Not en-suite. Reception with free WiFi and lounge area. Opening is managed from 06:30 in the morning till 21:00 at night. Kiosk with sweet treats and a few necessities perhaps forgotten plus a small curio shop. The Boma Restaurant with bar, tea and coffee station and light snack menu available daily. Breakfast, lunch and dinner for all lodge and camp guests are served at the Boma restaurant and pool terrace. Activities are self-guided and at no additional cost. The 4000ha Daan Viljoen Game reserve boast with over 200 bird species and plus a decent concentration of plains game that include giraffe, eland, oryx, blue wildebeest, kudu, hartebeest, warthogs, mountain zebra, baboons, steenbok and klipspringer to name a few. Guest can explore the reserve by means of two walking trails and or a 4x4 track or merely enjoying the game frequenting the Augeigas Dam in front of the chalets. 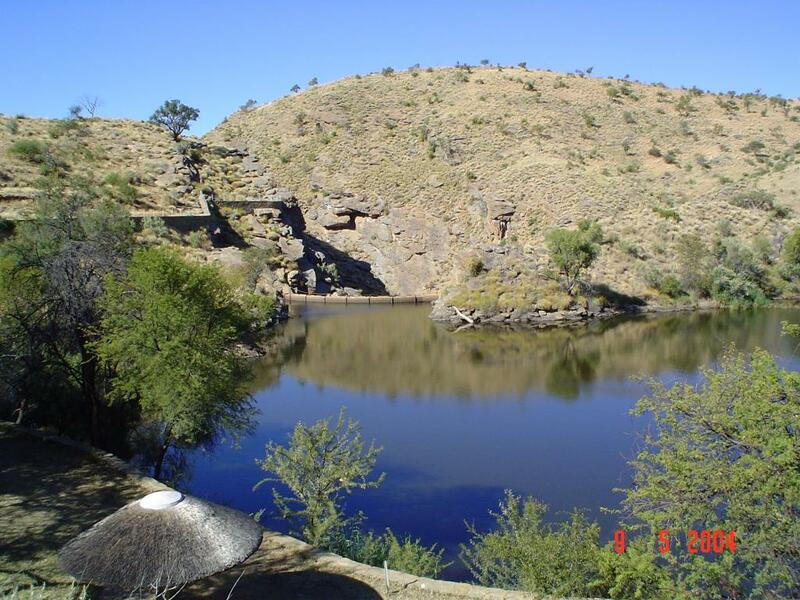 • The Rooibos Trail – of 9 km takes hikers past the Augeigas Dam and snakes op and down the rocky hills. • The 4x4 track of 6.5km – one way track entering from the Entrance Gate ending near the Reception. It is advisable that guest only attempt this with high clearance vehicles and in rain season in 4x4 track vehicles. For the avid camper there are 12 large individual camping sites to choose from, including a barbeque, electricity, washbasin and outdoor lighting for each site. Campers can also relax in comfort with luxurious shower and ablution facilities available to all guests, insuring one of the best camping facilities in Namibia. Three unique conference facilities situated on a hill overlooking the dam and Windhoek in the valley horizon, all support service are provided and offered in a one stop events solution. The Kraal Restaurant offers exquisite Namibian cuisine to all guest whether you are visiting for the day, having a camping adventure or spoiling yourself with luxury chalet living. The mouth-watering Saturday and Sunday lunches are worth a visit. The resort is perfect for weddings, its close location to Windhoek, luxury accommodation and superb support services provides a picture perfect natural location in a world class and stylishly designed venue. With possibilities of a classic white wedding to a more true Namibian style bush wedding it can be done making your big day the best it can possibly be. A comprehensive Kiosk at reception provides all the basic necessities one might need and assists with all those unforeseen items when camping or simply don’t want to drive to town for supplies. 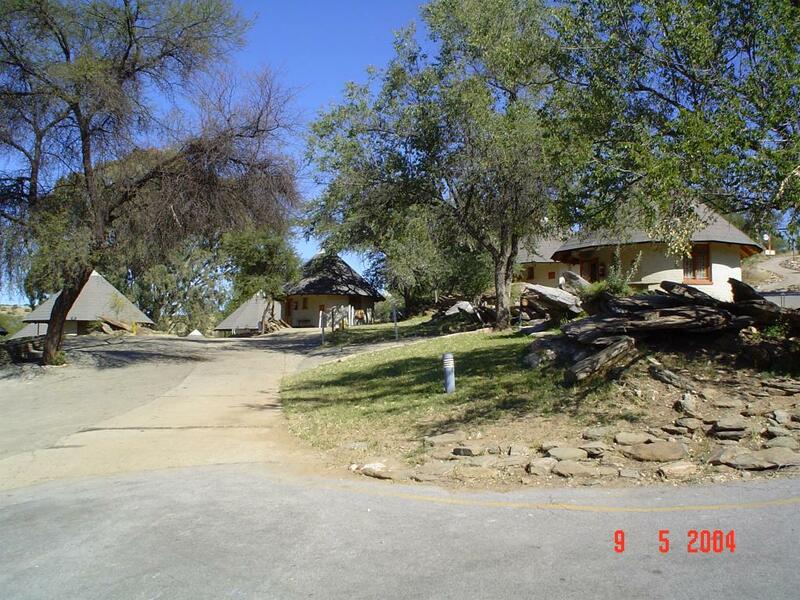 Sun Karros is situated 18 km west of Windhoek at the Daan Viljoen Game Reserve. History. The park was proclaimed in 1962. Name. 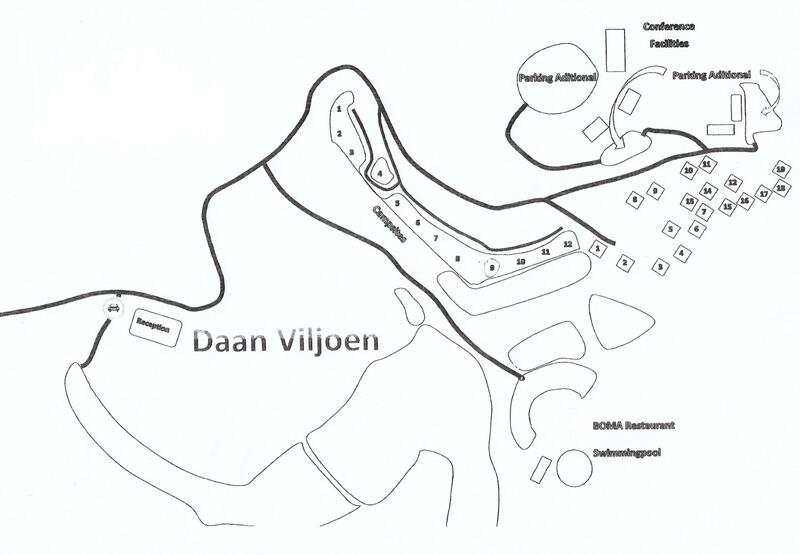 The park was named after a former Administrator Mr. D. Viljoen who took a major part in establishing the park. The park is very popular as an alternative place to stay instead of staying in the capital and for day visitors. The rest camp is located on the banks of Augeigas Dam has bungalows and camping sites. Wildlife. Several game species can be seen in the park including kudu, red hartebeest, springbok, klipspringer, steenbok, eland and Oryx antelopes, baboons (burglar bars were installed in the kiosk in the vicinity of the restaurant to keep them out), blue wildebeests and giraffes. As there are no predators you are allowed to leave your anywhere in the park. Bird species: helmeted guinea fowl, red billed francolin, yellow billed hornbill, rock runner. More than 200 bird species can be observed in the park. Bird list can be obtained in the park's office. Independently located around the Daan Viljoen dam, visitors can now experience all the luxury of a modern day breakaway, in unique, contemporary African chalets. Each one of our 19 chalets are fully equipped with air-conditioned rooms, satellite TV’s and mesmerizing patio views, ensuring the visitor an exclusive and luxurious atmosphere. Visitors at Sun Karros can also indulge their taste buds with delicious, unique Namibian dishes at our Kraal Restaurant, while gifts and memorabilia are always available at our Kiosk. Ideally located next to the Augeigas River, our overnight camping facilities offers campers 12 different camping sites to choose from, including a barbeque, electricity, washbasin and outdoor lighting for each site. Campers can also relax in comfort with luxurious shower and ablution facilities available to all our guests, insuring one of the best camping facilities in Namibia. Accommodation only: children under the age of 6 stay free of change, 6-12 years old: on request. The game park excludes potentially dangerous game species such as elephant, buffalo and the large cats, which means that visitors can safely explore the park on foot. The trail is undertaken at the hikers' own risk. Own food and water must be provided. The unguided trail of 32 km is open to groups of 3 to 12 persons and 32 km long (normally completed in two days). Departure time: daily at 9.00 form the park's office, duration: 1 or 2 days. Reservations should be made well in advance. The price: on request. Own transport, food and water must be arranged. 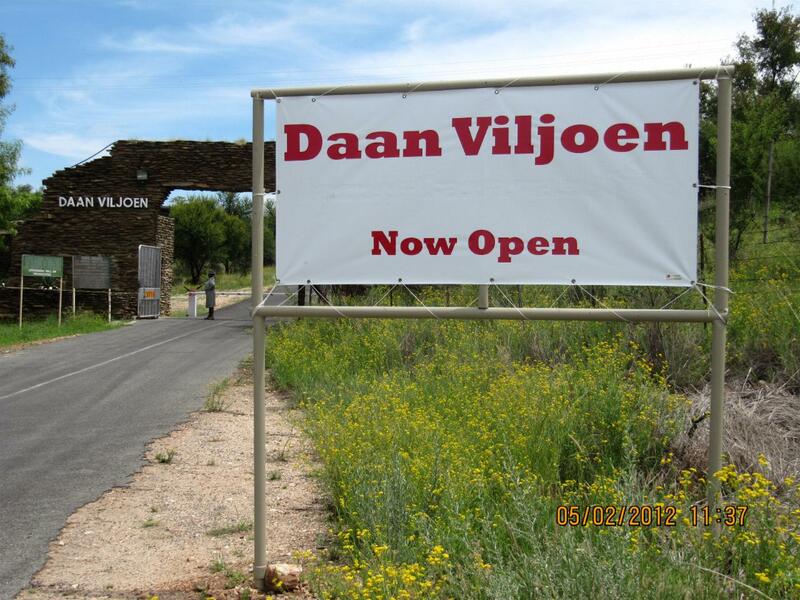 Daan Viljoen Camping and Adventure Expo: 19 October 2013: gates open at 07:00, tickets available at the gates at 75 N$ per person.